The Medical Council of India, often in the news for controversial approvals and corruption, is set to be replaced by a medical education commission that will have three independent wings to oversee curriculum, accreditation of colleges and medical ethics. The new commission could be run by eminent persons from the medical field, who will be allowed to continue their professional commitments as the Niti Aayog panel that framed the guidelines felt this would ensure a wider talent pool. The scandal-hit MCI will be a thing of past as the panel, headed by Niti Aayog chairperson Arvind Panagariya, has sought a detailed overhaul of the medical education regulator that aims to bridge shortages of skilled health workers and address a major hurdle in meeting growing quality healthcare needs. West Bengal University of Health Sciences plans to admit 30 additional students for two postgraduate courses - Diploma in Gynaecology and Obstetrics (DGO) and Diploma in Child Health (DCH). However, these additional seats are not recognized by the Medical Council of India (MCI).Chittaranjan Seva Sadan will get 10 extra students each in the DGO and DCH courses, while the DCH course in B C Roy Hospital with get the remaining 10. PG Times had reported on June 18 that as many as 35 postgraduate medical seats, including MD and MS seats, are lying vacant this year because students who had initially taken admission had switched to institutes outside Bengal. Thus this year there is going to be a serious crisis of post graduate trainees in the state's teaching hospitals, as these 35 seats will be vacant. Now to fill up the vacancy in the teaching hospitals WBUHS has decided to go for additional 10 seats of DGO and 20 additional seats of DCH. Q1) Will the state of Andhra Pradesh be contributing its medical PG seats to central pool and can the medical graduates of Andhra Pradesh be allowed to take seats outside Andhra Pradesh? State of Andhra Pradesh has a special status (continued forward after bifurcation of states of Andhra and Telangana) wherein the state(s) do not contribute to the All India Quota 50% pool and the medical graduates of the State accordingly cannot participate in the All India Quota. Q2) Is there state quota in NEET-PG? NEET-PG is a common qualifying and ranking examination. Each owner of the seat whether state quota or private universities or institutions shall continue to prepare their merit lit based on the eligibility criteria. The existing state quota remains undisturbed. Q3) Please confirm whether while counseling, private institutes shall disclose their course fees? It is obligatory for all institutions to disclose their course fees. Concerned over the rising cases of non-communicable diseases (NCDs) like cancer, diabetes and even mental disorders in India, the health ministry has kick-started some key initiatives to promote preventive care to arrest the trend. "Prevention of diseases will always remain in the forefront, whether for communicable or non-communicable diseases, and awareness regarding a balanced lifestyle and healthy living is a crucial pillar in combating non-communicable diseases," health minister JP Nadda said, launching the initiatives. The programmes include detailed guidelines for screening of such diseases like cancer, diabetes and hypertension. The ministry has also launched a dedicated awareness campaign to educate people about preventive measures and benefits of exercise, healthy eating and a balanced lifestyle. The National University of Juridical sciences (NUJS), in a first in the country, is all set to start a course to address medico-legal issues, which are largely a grey area at present. Legal experts and doctors will teach in the course that will be conducted jointly with the Dillons Kidney Foundation, a philanthropic platform for doctors. The one-year course - Postgraduate Diploma in Public Healthcare and Medical Laws - will start from July. While both theory and practical classes will be held according to set modules on the NUJS campus, a lot of study material is also being prepared on which students have to work and do their own research. The modules have jointly been prepared by NUJS faculty, selected faculty from the National Law School, Bangalore, and top doctors from a range of fields from the city. A chunk of postgraduate medical seats, which are fought over tooth-and-nail, have gone abegging in Bengal this year because many MD MS students who took admission decided to opt for other states. There are many candidates who did not make the initial cut and could fill up these seats, but the government did not have a backup plan to accommodate the waitlisted ones.As many as 35 seats, including two in the coveted MS surgery stream, are going vacant. The wastage of PG medical seats is a serious setback at a time when Bengal hospitals are grappling with lack of specialized doctors. “It's a huge loss, which cannot be equated in monetary terms,“ said VC of West Bengal University of Health Sciences (WBUHS), Dr Bhabotosh Biswas. The Union health ministry has directed the Medical Council of India (MCI) to ease norms to set up new medical colleges in private sector across the country. With this directive, it can be said that the government has opened the doors for the private companies to enter the field of medical education. 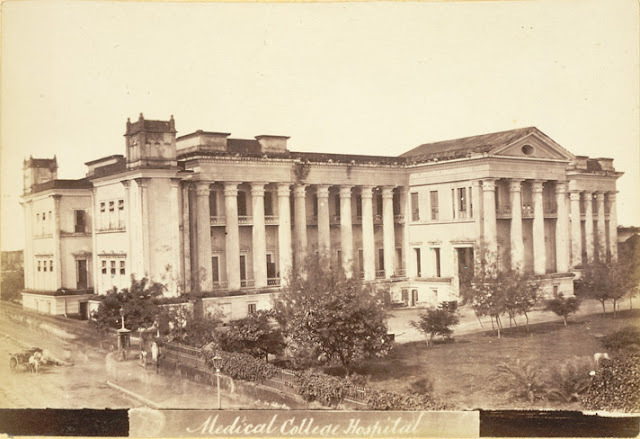 Earlier only the state or central government along with reputed trusts and registered societies were allowed to run the medical colleges. However, with the new directive it will allow any profit making corporate house as well as leading private hospitals and pharmaceutical companies to come forward and open medical colleges across the country. DMK treasurer and Opposition leader in the Assembly M.K. Stalin on Tuesday urged the State government to adopt a resolution in the Assembly to dispense with the National Eligibility and Entrance Test (NEET) for admission in medical colleges. In a statement here, Mr. Stalin said that the ordinance promulgated by the Centre had provided temporary relief to the students in the country and it would not be a permanent solution. “The State government should unanimously adopt a resolution urging the Centre to cancel the NEET after holding a proper debate in the Assembly,” he said. DMK treasurer MK Stalin today urged Chief Minister Jayalalithaa to get a resolution passed in the state Assembly to prevail upon the Centre to ensure that there is no entrance examination for medical admissions in Tamil Nadu. He was referring to Centre's ordinance that exempted state government medical colleges from the Supreme Court-mandated single All India entrance examination for a year. Guest article by Dr. MG Deo.Dr Deo was a Professor of Pathology at the AIIMS, New Delhi and between 1978-95, Director, Cancer Research Institute (Tata Memorial Centre), Mumbai. In 1990, the GOI bestowed on me the prestigious civilian award of Padmashree.